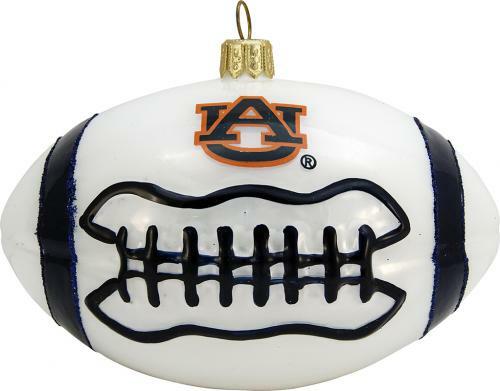 Auburn University Football Ornament! European mouth blown and hand painted glass ornaments - gorgeous! A perfect addition to the Auburn fan's Christmas Tree - a great gift for the Auburn friend!